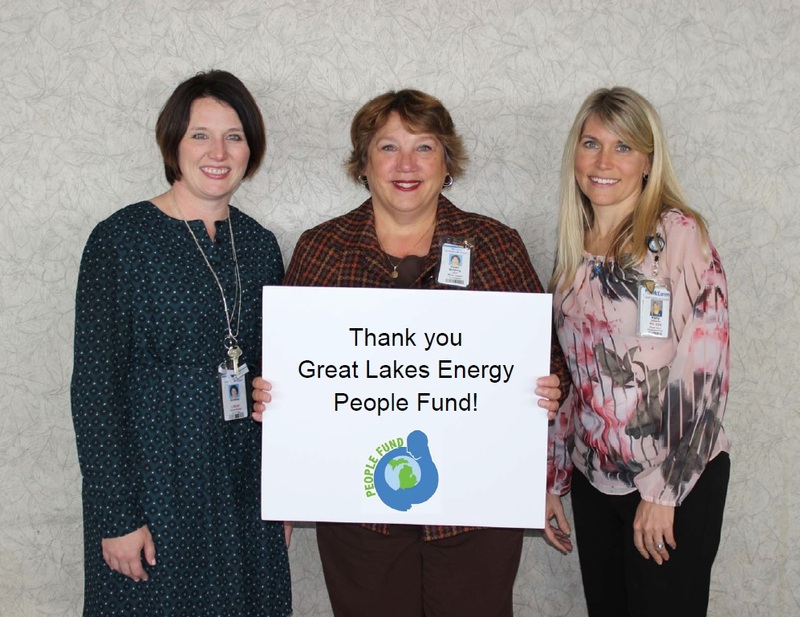 McLaren Northern Michigan Foundation received a $5,000 grant from the Great Lakes Energy People Fund to assist McLaren Northern Michigan patients with resources to improve access to necessary medical care. Donations in support of the patient assistance program help patients, and their families, to overcome financial barriers to accessing care. In the past year, the patient assistance program has served more than 800 patients with costs of medications, medical supplies and equipment, as well as offsetting travel expenses associated with receiving care. For so many of these patients, a little help with these barriers can keep them on the path to health, healing, and wellness. “We are grateful to the Great Lakes Energy People Fund, and to our many other donors who chose to support the McLaren Northern Michigan Foundation patient assistance programs. Their generosity and compassion for our fellow community members provides the critical resources to overcome barriers to receiving much-needed care,” said Moon Seagren, Vice President and Chief Development Officer with McLaren Northern Michigan Foundation.